I wanted to read more in 2013. I really did. But then it just didn’t happen. Something about having a baby threw my number of books read this year way, way down. Boo. 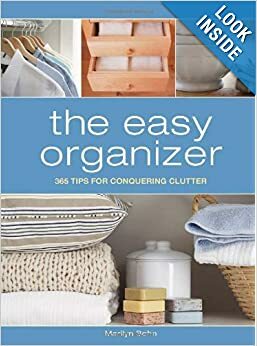 I read this book last January in an attempt to organize my house again. I never ended up organizing my house last year. I say every year that it is something I will do and then I don’t do it. 2014 is my year! Right?! That is a post for another day. Overall is was a decent organizing book. I received the book for free for review purposes. I received this book for free for the purposes of a review. This book was a new take on The Island of Dr. Moreau. It was creepy and gothic. There were aspects that missed the full potential of what the book could have been. It could have been phenomenal, but the author strayed and missed the overall mark at times. These things happen. I didn’t realize this was a kid’s book until I got it. I love the pictures. They are fabulous. The words are heart warming, but not particularly for kids. Not sure where the intended audience actually was or what mark they were trying to hit. This isn’t a devotional or a story. It isn’t exactly a coffee table book, either. It is more of a pick me up on a bad day kind of book. I didn’t like it very much at first, but it has grown on me over the year. On my first reading, I gave it 3 stars. Now I give it 4. 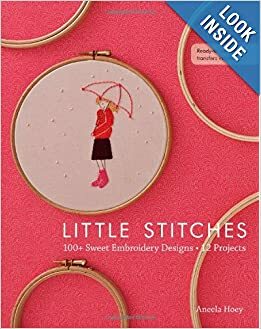 This is a wonderfully cute little embroidery book. It comes with iron on images, so you don’t have to hand copy them, which is worth the price of the book all by itself. The images are cute and sweet. I embroidered a few burp cloths while waiting for Topher last year using these patterns. I expected to like this book much more than I did. I had hyped it up so much in my head that the end product just didn’t live up to my head hype. It contains projects of various kinds. 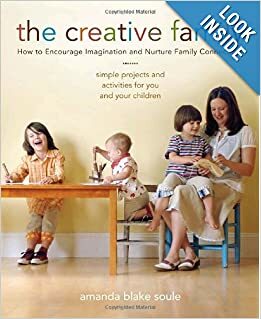 It contains parenting insights on how to encourage creativity in your child. I just… well, my kids just don’t cooperate with this kind of fantasy she lays out. My kids are very creative, but also destructive. So, I can’t have random stuff found from outside hanging out on my hearth. My kids tear it all to shreds. I can’t leave art supplies out. They mural my walls. In my fantasy world, I do these wonderful things from this book, but in my real life, things just don’t work out that way. 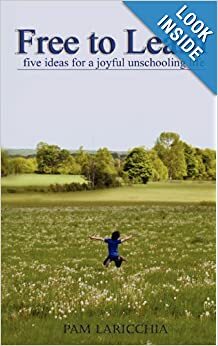 I really loved Ina May’s Guide To Childbirth and as a natural birther and planning a home birth, I kind of felt like Spiritual Midwifery was a must read. It was set up much like Ina May’s Guide to Childbirth– birth stories for the first half of the book and information in the second half. 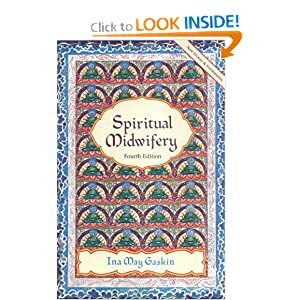 The information in Spiritual Midwifery is geared much more toward midwives (surprise!). It was interesting, for sure. The birth stories were a little more “woo” than I experience myself. I also really disliked Stephen Gaskin writing any portion of the book. The other dad perspectives didn’t bother me, though. Definitely not for the mainstream people. It also wasn’t particularly helpful for my home birth preparations. I just felt like I needed to read it so I could get my granola card punched. This book has some good activities for your little ones, but overall I think it is overkill. Plus it isn’t really doable, in my opinion, in real life when you have more than one child under five at a time. (And I currently have three under five.) Some of the activities were just dumb. I’m naturally inclined against things geared toward this age group. I find they are far too limited and seem to assume that preschoolers and toddlers are much dumber than they really are. If you find this book for free or at a thrift store, pick it up. But don’t pay full price for it. It isn’t worth it. I really liked the overall premise of this book. I particularly did not like the last few chapter, which brought my rating down from 5 stars to 4. But there was so much good in this book. I highly recommend it. 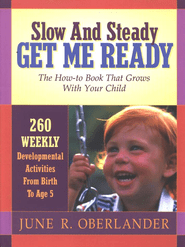 Clearly, I am not Jewish, but this book contained so much great parenting advice. 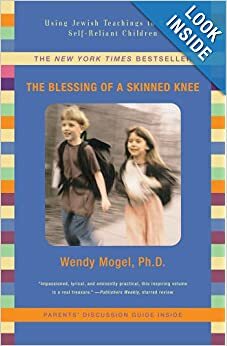 It did talk about Jewish tradition quite a bit, but I think any parent would find the book helpful if you are in any way spiritual. It talks about not sheltering your kids, letting your kids fail, letting your kids express themselves, not bulldozing your children, and giving your children the freedom to be themselves. 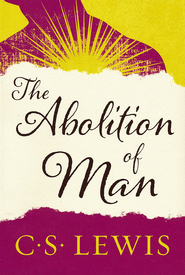 I really wish more people in the Church would read this book. (See that I capitalized Church? That means the entire worldwide Church, not just my local church that I attend.) It is one of the Big Deals in my life that I think through decisions that I make. 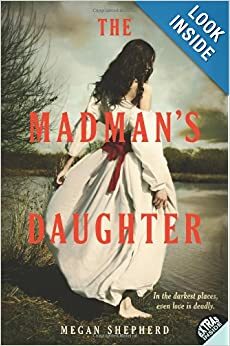 That Hideous Strength (which happens to be part of The Space Trilogy, only one of my favorite book series in the world- so much so that I named my kid after the main character, Ransom) is the fiction equivalent to this book. If I boiled it down, the point of the book is that in an attempt to control nature, it ends up controlling us. We try to be gods, but lack the necessary knowledge of God. This book is so relevant to today, you’ll find yourself amazed this insight came from the 1950s. It is no secret that I am not very mainstream. (Although I’ve recently found out that many people in real life didn’t know about my crunchy leanings. Surprise! I’m a hippy under these normal clothes!) This book is a great resource for dealing with childhood illness without running to the doctor for everything. It is completely exhaustive, there are plenty of other remedies than those listed. But it is a very easy to use quick guide. 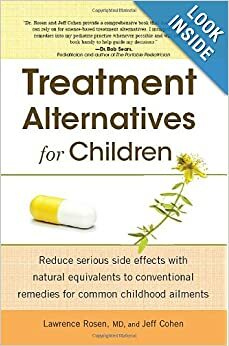 We successfully managed a few ear aches, coughs, chest colds, croupy coughs, and sore throats with the help of this book. 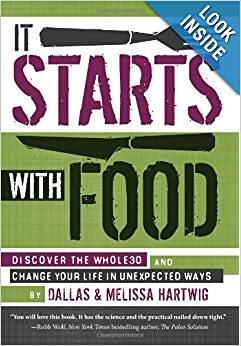 If you’re just getting out of the mainstream, this book gives you brand name products to buy online or at your local natural grocer so you don’t have to go make your own tinctures and such. If you’ve got a crunchy card, you can make your own or buy similar products. I highly recommend this book! This book deserves its own post. And I will get on that. This book changed my life. No joke. It changed my heart and changed the lives of my family, as well. I cannot recommend this book enough. Full post about this story is coming. I was given this book free for review. The authors have a massive mega church plant down the street from me. 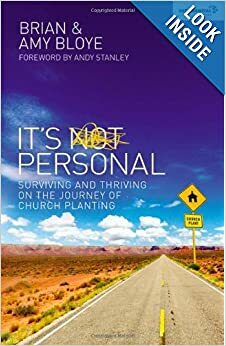 I think the book skims over a lot of what made their mega church a success and it doesn’t delve into their limitations and problems quite enough. 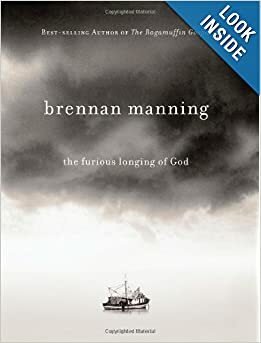 But this book wasn’t about their church, it is about them. 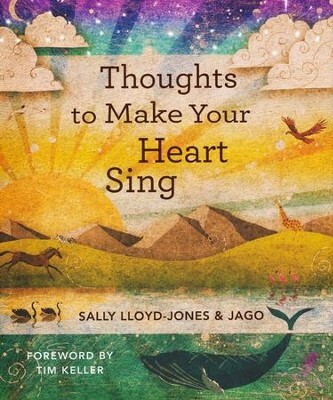 It is a book for church planting families. How do you balance the work required in a church plant with your family life? How do you guard your marriage during the turbulent church planting times? It is something only those in full time ministry really understand. I appreciated their perspective and advice far more than I anticipated, even though I do not agree with all their advice. Honestly, I am still on the fence about this. It works. You loose weight. (I lost 17 lbs. in one month.) It does help you feel better toward the end. But it is so arbitrary. It is so limiting. It is not sustainable. (And not intended to be.) It is absolutely miserable. It will break your physical food addictions, but in my opinion can make the mental issues surrounding food much worse. I’m so torn on this. It worked. I physically felt better. I lost weight. The restrictions were ridiculous and arbitrary. But mentally, it put me in a much worse place than when I started. Menu planning now sends me to tears. Just ordering food in a restaurant begins an epic mental battle for me. I’m now having to heal my body image and my food relationship coming off of this. It is hard to do with a family. It is hard to stick to period. I don’t think this is healthy for life. Check out Go Kaleo. I’m beginning my healing from this diet there. 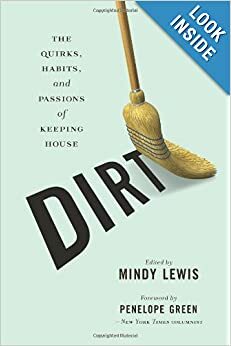 A collection of essays about cleaning. It is interesting to look into the minds of others when it comes to cleaning. You’ve seen it in those you know- your aunts, your mother, your mother-in-law. They all clean differently and all feel differently about cleaning. They have their reasons and you might know them. There are underlying psychological reasons we clean (or don’t clean) the way we do. Has poverty led to a need to hold onto everything? Has a busy life resulted in a completely chaotic house? Has a military past led way to a need for orderly surrounding? Is housework a woman’s work? Is it a man’s? Is it a maid’s? It is interesting to look into the lives and homes of others. I didn’t think it was possible for a breastfeeding book to move me to tears, but this one did. With the science to back up the claims, the Church to back up the methods, this book is full of wisdom for breastfeeding moms (and dads). I very highly recommend this book. It doesn’t have a lot of the how to and problem solving of breastfeeding, but will deepen you resolve to breastfeed your child and turn it from a chore into something you love to do. It elevated my role as a mother. It elevated Topher’s role as my son. Fabulous read. I have 5 kids, he has 5 kids. Had to read it. 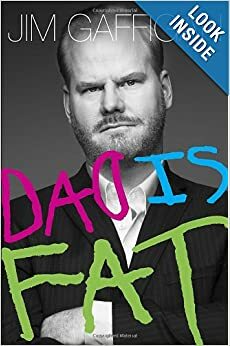 Some of the content of this book is the same as his stand up routines, but it is still funny. In fact, it may be funnier that you can read it in his voice. So funny. This book is stories of fatherhood, thoughts on fatherhood and families and our society in relation to big families. This book needs a different title. The first part of the book is about choosing to have a large family and thinking through the logistics of it all. 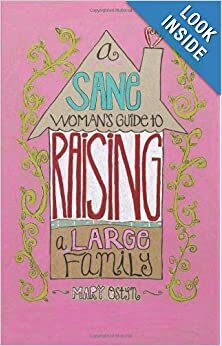 It does have some practical advice for larger than average families. Some is similar to other books about large families. I liked her writing style. Good thoughts for families of not so many kids thinking about maybe having more. Or for families that are wanting to have more but haven’t really figured out how it will work.